(NaturalNews) Embattled Democratic presidential contender Hillary Clinton and disgraced University of Florida plant scientist Prof. Kevin Folta have a great deal in common: they are both very skilled at being dishonest and both are shills for agri- and biotech giant Monsanto. 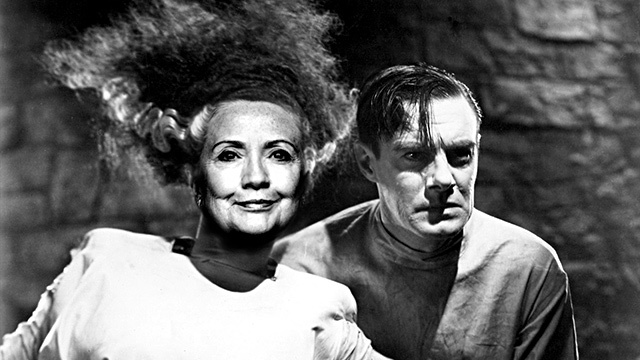 If Monsanto is King of the Genetically Modified Organism [GMO], then Clinton is certainly the Bride of Frankenfoods, as she was once called. It was a shock to many among her liberal voting base to find out that Clinton has long and strong ties to Monsanto and has also been a champion of the agri-giant's GMO crops – so much so that environmentalists in the crucial early primary state of Iowa recently tagged her with the "Bride" moniker. The tag has put yet another damper on a flagging presidential bid mired in controversy, lies and cover-ups. The backlash against Mrs. Clinton for her support of genetically modified organisms (GMO), which dominate the corn and soybean crops at the heart of Iowa's economy, manifested itself at a recent meeting of the Tri-County Democrats, where members gauged support for the former secretary of state. At that meeting, a large group of women who were voicing very strong support for Clinton's candidacy changed their tune when the issue of GMOs came up. That prompted them to switch allegiances to surging Sen. Bernie Sanders, I-Vt., an avowed socialist who has made a serious challenge to what is now her second bid for the White House. "I was surprised, because these women were really pushing for Hillary until they found out about the Monsanto connection, and then they dropped her like a hot potato," James Berge, Democratic Party chairman for Worth County, Iowa, told the Times. "It's quite a big issue," he added. "There's people who are just wild about all the use of GMOs." The support for Monsanto and GMOs gives liberal voters yet another reason to be skittish about Clinton, whom they already suspect has too many ties to Wall Street and the politically centrist policies pursued by her husband. The issue of trust is becoming another reason voters are abandoning her in droves. Consider the growing scandal surrounding her personal email server. Clinton has alternated between "I didn't do anything wrong" to "What I did was allowed" to "My personal email server was protected" to "I never sent or received classified emails" to, finally, "Well, they weren't MARKED as classified when I sent or received them." None of those excuses have been found to be valid. On LewRockwell.com, former judge Andrew Napolitano notes, "Like a crook, she breaks the law, lies about why she broke the law, sees no wrong-doing in her ways, and expects to get away with it." Napolitano goes on to add: "How can a person with the morals of a crook be the chief law enforcement officer in the land, the commander-in-chief of the military, and the repository of more lawful power than any person on the planet? How can she be entrusted with national security secrets in the future when she has failed to safeguard them in the past?" Likewise, Kevin Folta, the now-disgraced liar-professor, has been outed as a shill for Monsanto after vehemently and repeatedly denying that he was. Money, it seems, is the real arbiter of conscience for many people, especially those in power and among those who want more power bestowed upon them. Hillary Clinton's donors also include the drug maker Pfizer, ExxonMobil, Dow Chemical, Goldman Sachs, Procter & Gamble, Coca-Cola and many more. It's a who's who compilation of the most evil corporations and institutions on planet Earth, and they've all given huge money -- tens of millions of dollars -- to Hillary Clinton.